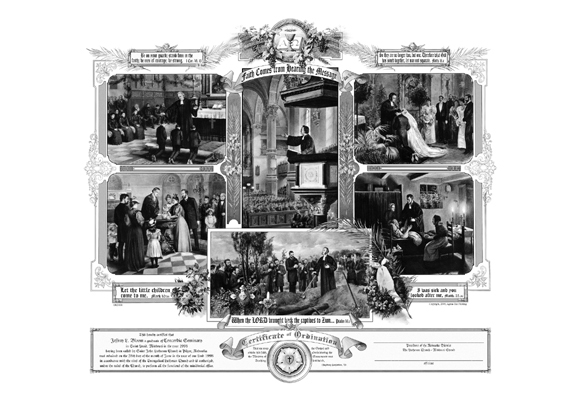 Our Pastoral Office Print and Certificate of Ordination have been digitally restored from a turn of the century image detailing the primary callings of the pastoral office. Both are printed on high quality, heavy bond, 11″x17″ & 13″x19″, 100% Rag, Acid Free Paper. 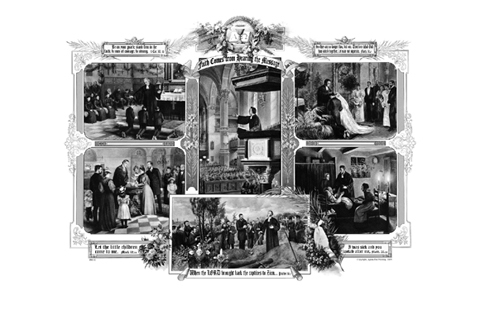 For our ordination certificate we hand hand crafted an area below the Pastoral print to allow for information detailing a pastor’s ordination. In the center we placed Luther’s Rose. This addition to the Pastoral print is so seamless that it is impossible to tell that it was not part of the original document. Both documents are incredibly rare and would make a perfect gift for a congregation’s pastor.